A revised coaching structure is introduced by UKA in which all coaches require up-dates in training. A fixture list for the track and field season. A notice of the AGM in revised form to include an awards presentation and free drinks for all attendees. A merger of Westbury and Yate will be discussed. 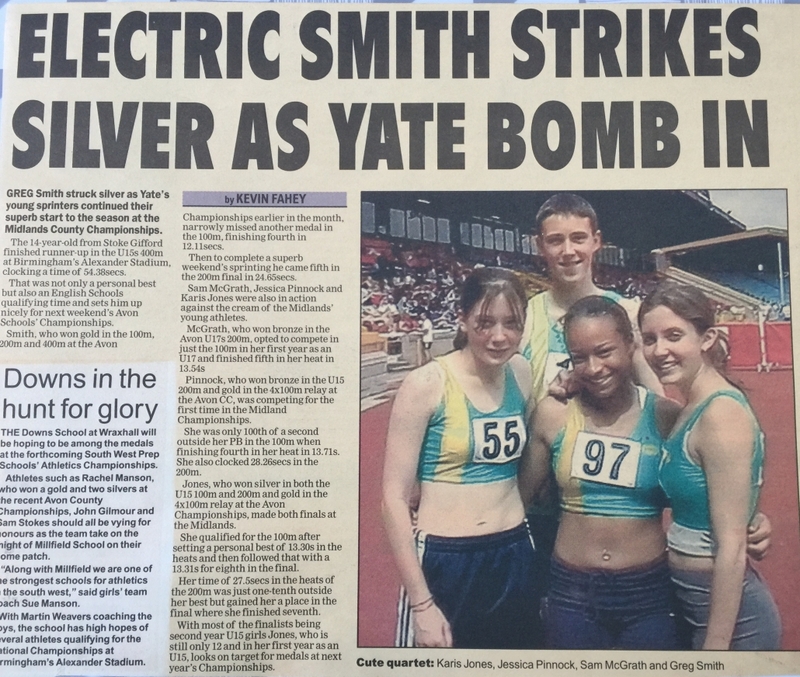 In the Avon County Championship for Young Athletes Yate athletes won 35 medals – 17 Gold, 5 Silver and 13 Bronze. 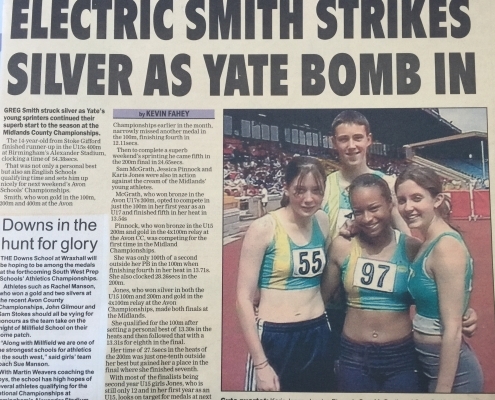 In the West of England Championship Yate athletes had 5 wins. Greg Smith wins Silver at the Midland Counties U20 Championship and a new Club record in the U15 400m. At the AGM the club year was revised to commence on 1st October and finish on 30th September with future AGM’s taking place at the end of November. 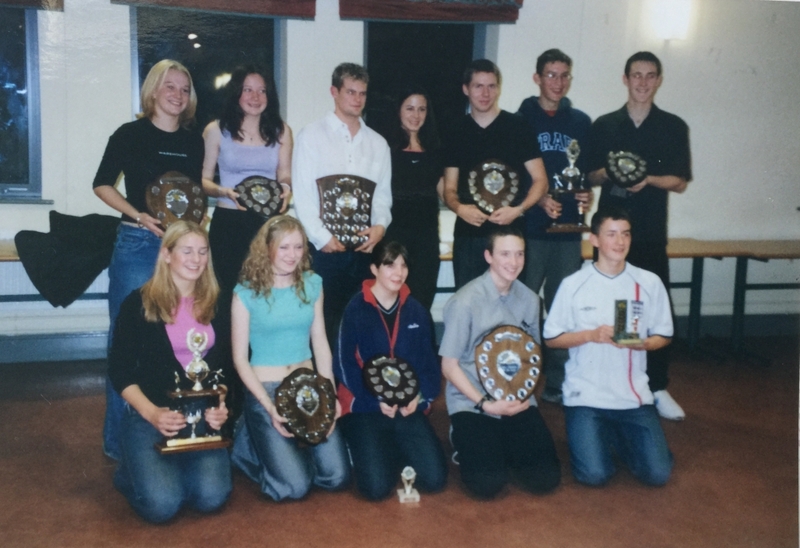 A report on the Avon AA Open Forum on the future of U20’s and Senior athletics in the County. An article on the competition rules regarding relay race changeovers. A reminder that subs are due by the end of October. A track and field review. 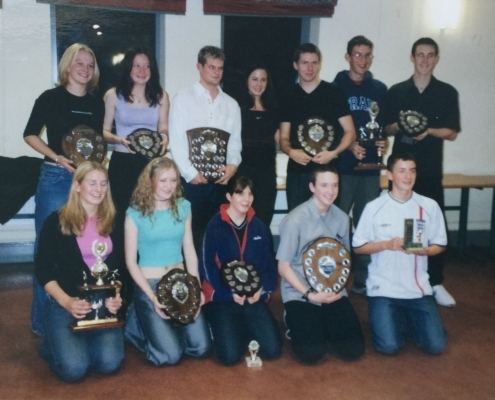 The National Junior Womens team won the Avon division while the National Junior Mens team finished in 2nd place, the Womens Midland League team finished in 3rd place, the Mens Midland League team were relegated and the Girls National Young Athletes League team were also relegated. 14 Club records were claimed. A second Avon Open Forum is suggesting an Avon team for Senior/U20 competition. EGM’s at both Westbury and Yate vote against a full merger of the 2 clubs. Yate were the winners of the U13 Boys and U15 Girls age groups.